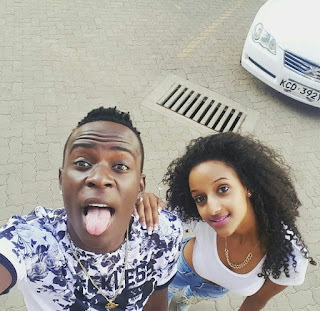 Earlier on controversial gospel Willy Paul took to social media to reveal his plans of walking down the aisle with his beautiful girlfriend. Well as 2016 nears Willy Paul has decided to surprise his fans again as he has rubbished the claims that he will marry soon. 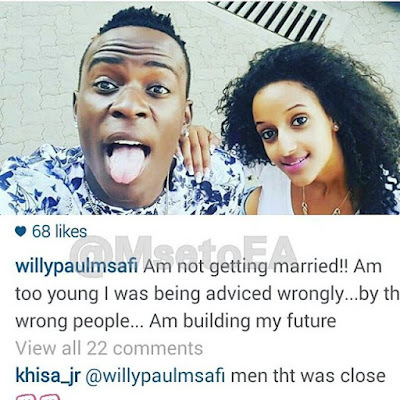 In an Instagram post which he later deleted, the award winning singer said that he is too young, adding that he was advised wrongly by his friends. According to the "tam tam" hit-maker, he first wants to build his future before settling down.